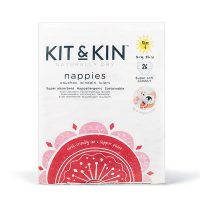 When your little one is starting to become more active, it’s time to switch to these hypoallergenic pulll up nappy pants. 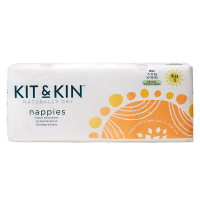 With a soft stretchy waistband and tear away sides, they are perfect for quick and easy changing. 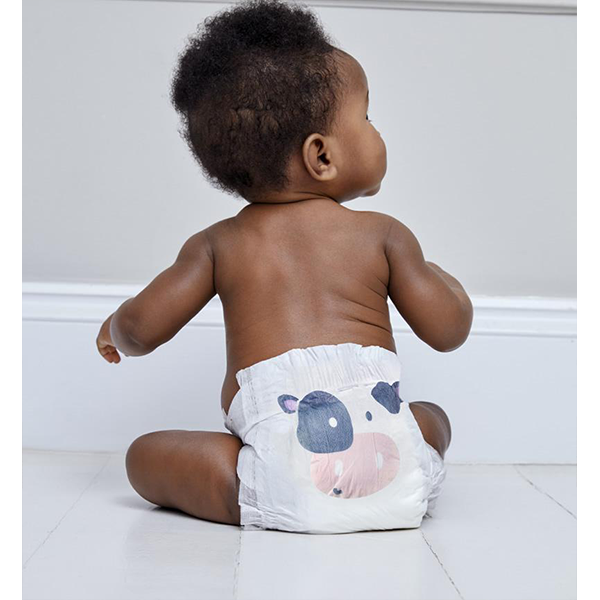 Available in two cute and fun animal patterns – cow and pig – making your little one even more adorable than ever. 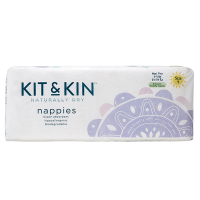 Printed with vegetable inks, the designs are super safe as well as super stylish. 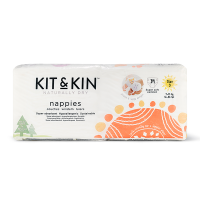 These gorgeous, eco-conscious, biodegradable disposable nappy pants from Kit & Kin are approved by dermatologists and give premium performance that helps to keep your baby dry and protect delicate skin from problems like eczema and nappy rash. 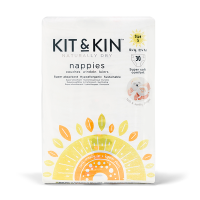 These nappies are made without: chlorine processing, latex, lotions, fragrances, most common allergens, phthalates, optical brighteners, or organotins (MBT, DBT, TBT). 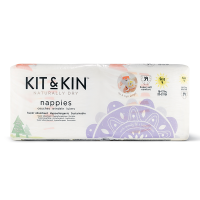 Kit & Kin are a member of PETA (People for the Ethical Treatment of Animals), so you can rest assured that you are purchasing cruelty-free products. Outer lining: Sustainable material and polyethylene waterproof film. Internal lining: Polypropylene / PLA (natural polymer).